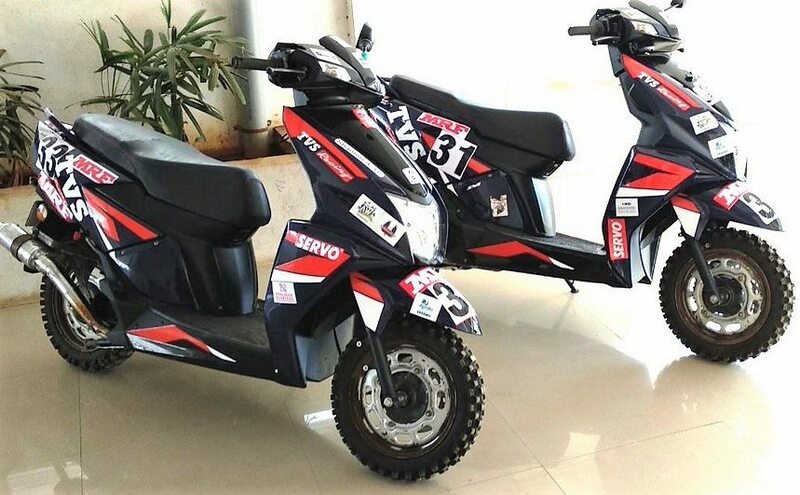 TVS Motor has officially unveiled the race-spec NTORQ SXR scooter which will take part in the Indian National Rally Championship 2018 in Nashik. 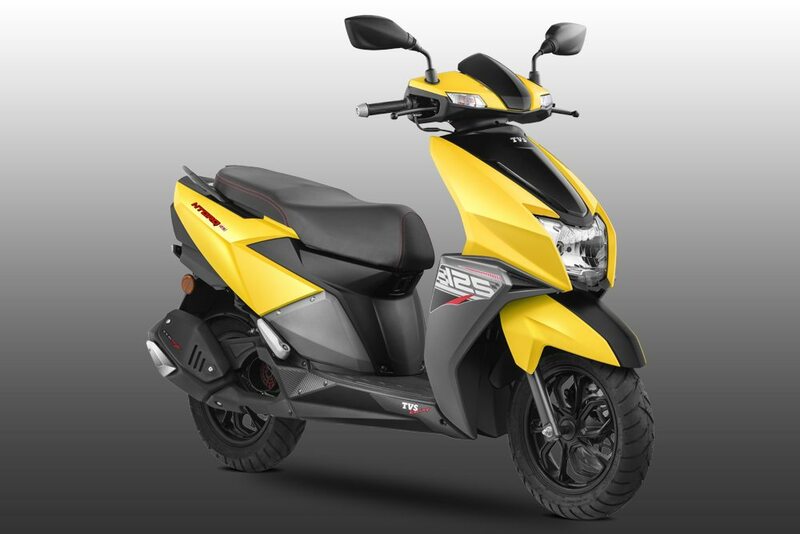 It is based on the 125cc NTORQ scooter, and has been tuned to generate maximum power of 20HP! 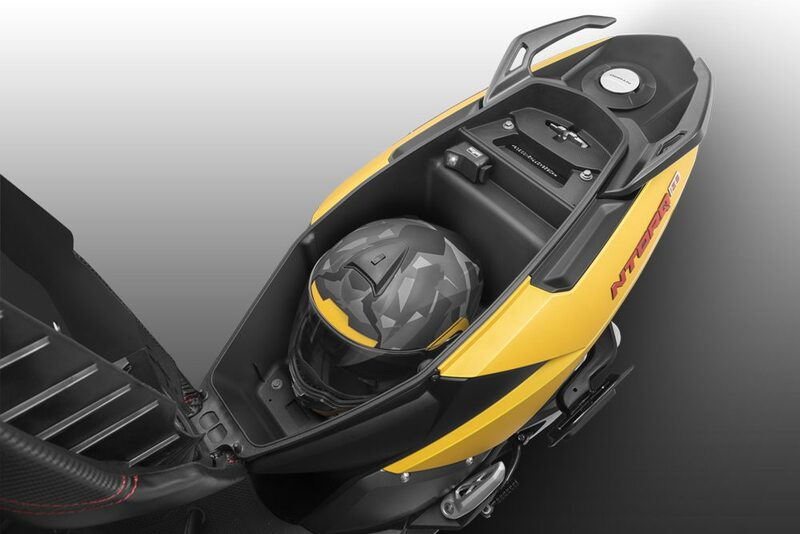 In terms of design and styling, there are’t much changes except different graphics and steel wheels. Technically, the NTORQ SXR gets race-tuned exhaust system, intake system, optimized ignition system, and race tuned hydraulic suspension. 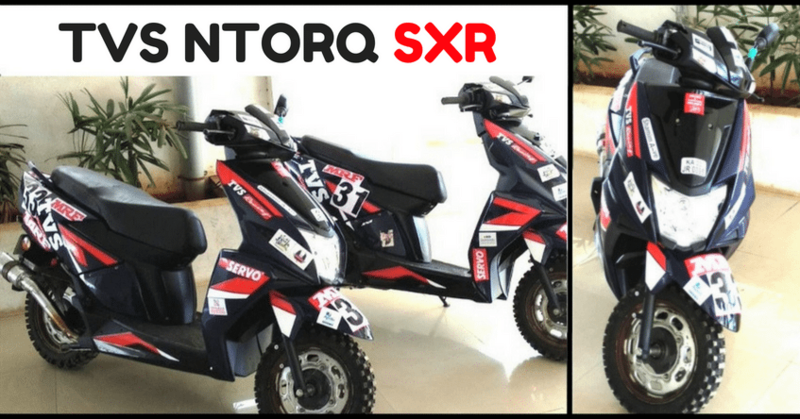 With all these mechanical changes and 20HP of power, NTORQ SXR is claimed to reach a top speed of 120 kmph! 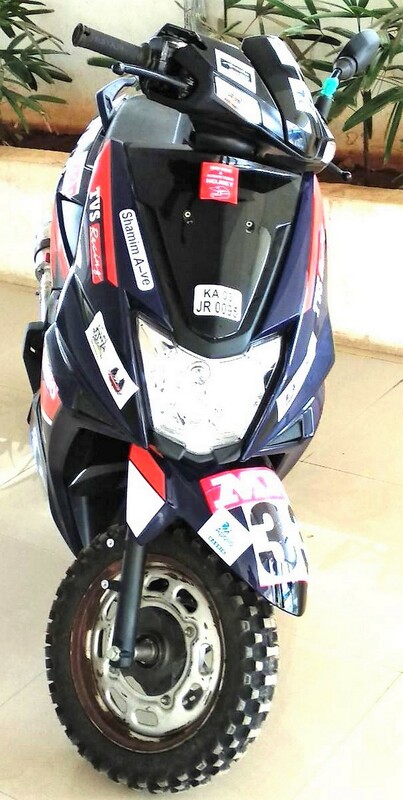 3 time National Championship winner Shamim Khan and Asif Ali will be riding the SXR model in the rally. 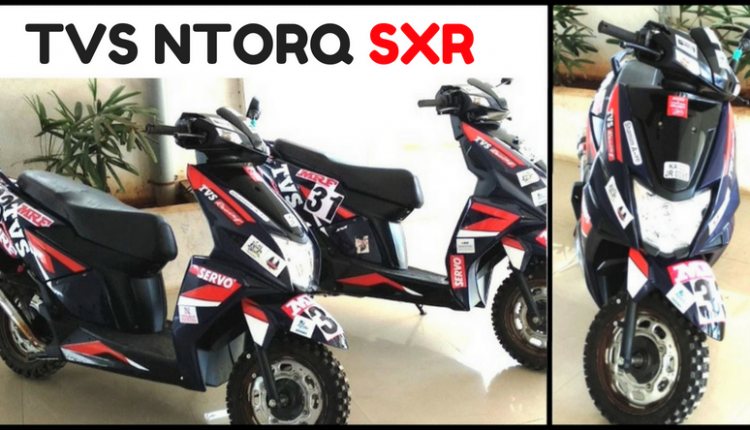 The stock model of Ntorq is powered by a single cylinder, 124.79cc three valve engine producing 9.4 HP at 7500 rpm and 10.5 Nm at 5500 rpm. 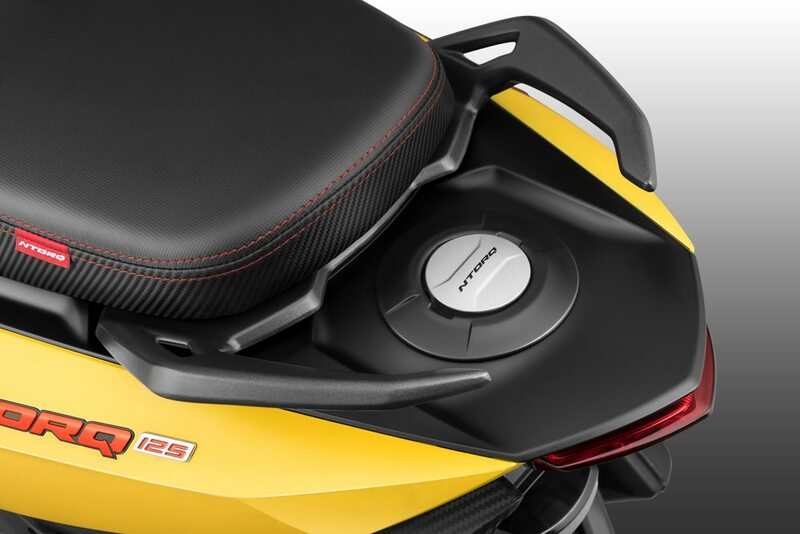 TVS claims 0-60 kmph in just 9 seconds while 95 kmph of top speed will ensure occasional thrilling highway rides. 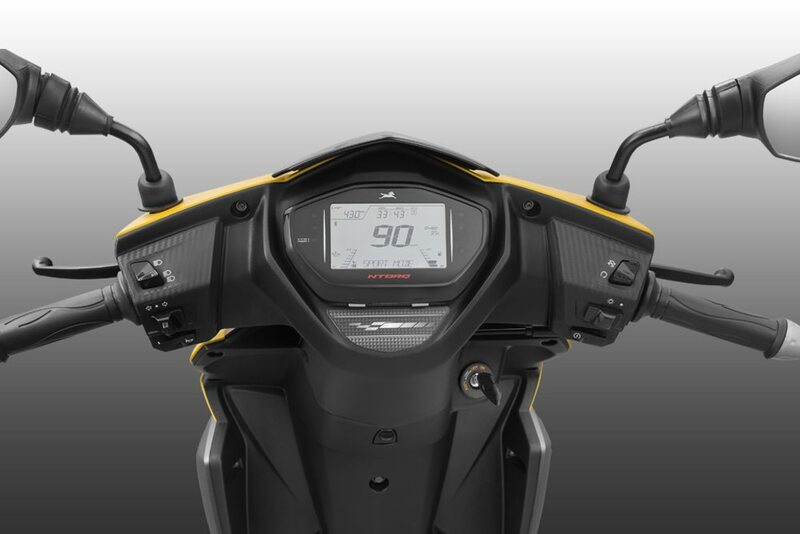 Apart from that, Ntorq 125 comes with engine kill switch, daytime running lights, 22 liters of under-seat storage and USB charger. 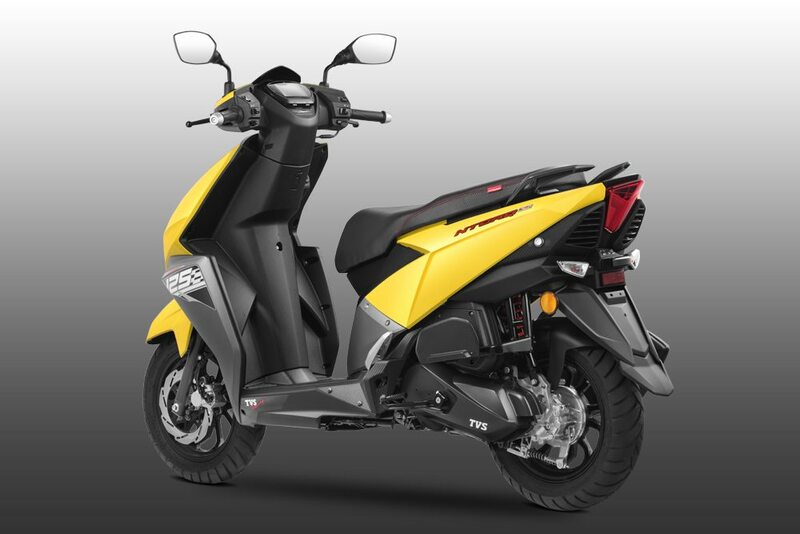 It rivals none other than Aprilia SR125, Honda Activa 125, Honda Grazia 125 and Suzuki Access 125 in India.